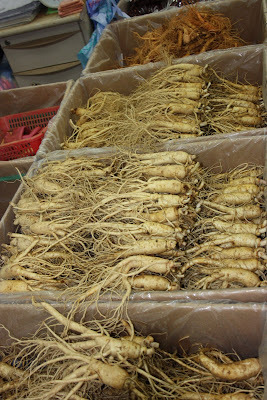 Ginseng is a plant that has very fleshy roots. It is a very popular snack amongst Koreans (especially men). Medicinally, it's used as treatment for Type II Diabetes or sexual dysfunction in men. The root is available in dried form, whole or sliced...and is even made into jelly candy.